We offer recruitment training in Melbourne that will improve the ability of your managers to prepare and conduct a fair, thorough and structured selection interview. If you’re in any type of leadership or management position, then you will know how crucial it is to have jobs filled by the best people with the right capabilities. This means hiring people who can “walk the talk” and not just “talk the talk”. The objective of any recruitment and selection process within an organisation is to provide an impartial way of measuring applicants against the requirements of the job – so ultimately the right person will be selected.. However, this requires skill in being able to gather and interpret accurate and current data about an applicant’s capabilities and limitations. All too often interviewers discover too late that they have failed to get beyond “rehearsed” replies from an interviewee and that they have selected the wrong person, who simply doesn’t “fit” either the job, the team or the organisation’s culture. You need a combination of sound recruitment policies, procedures and practices. Managers need to be appropriately trained, so they can apply effective interviewing techniques and make defensible decisions around hiring and promoting the best people. 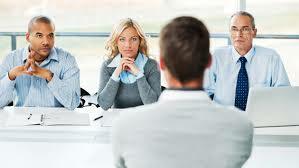 Best practice recruitment now-days incorporates behavioural interviewing techniques and work-sampling methods.